Medium & Size: Mixed media on wood. 21 7/8" L x 8 5/8" H x 3/4" D. For indoor display only. 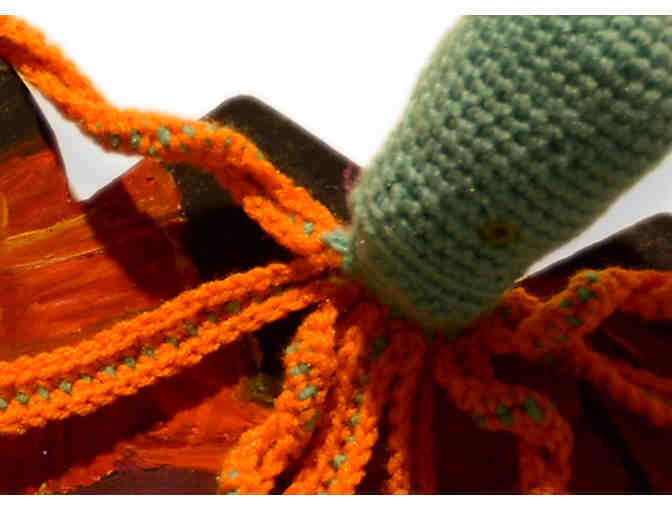 Artist Statement: Knitting and crochet are nontraditional methods of creating art. Typically a craft, fiber work has evolved to become a method of art-making with a rich history, as the codfish has in Marblehead. 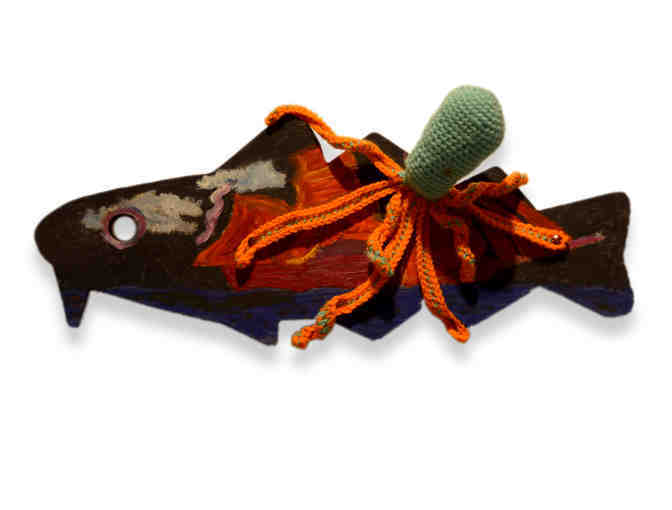 This piece was crafted to reflect both the history of the cod and the history of fiber art. In our hometown, codfish are typically golden, but not this one. This one is soft and lovable, creating different kinds of tones regarding value and prestige. 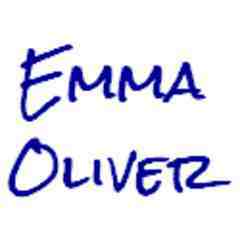 Artist Biography: Emma Oliver is a student at the School of Art and Design at Alfred University in upstate New York. She likes to break boundaries with the use of material in artwork, and also to skate on thin ice in terms of subject matter. After college, she hopes to continue her art career as well as embark on a new one as an art educator. Hosting Business: "Scales and Purls" is on display at Abbot Public Library, 235 Pleasant St., Marblehead, MA. On July 1, this cod will be moved to the Unitarian Universalist Church, 28 Mugford St., Marblehead, MA. Pick-up of purchased cods will be on Tuesday evening, July 5. Winning bidder will receive a notification email with information on pick-up time and location. If winning bidder requires shipping, winner's credit card will be charged a separate $24.95 fee to cover USPS ground and handling. Shipping is available within the U.S. only and must be requested within 7 days after receipt of the notification email. Any cod purchased via "Buy Now" will remain on display at the hosting business through the end of the auction, and will be available for pick-up as detailed in the winning bidder notification email. 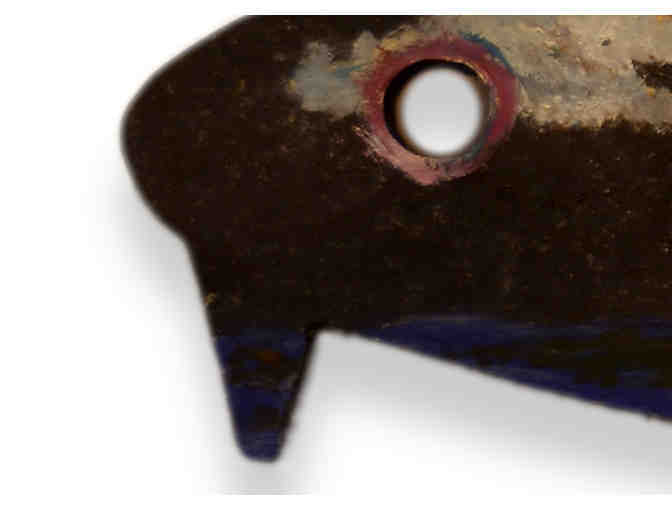 If winning bidder has not picked up cod (or provided shipping address) within 30 days after the close of the auction, cod will become the property of Marblehead Festival of Arts, Inc.
Click here to see the other decorated cods up for bid in our Cods of a Different Color online auction! To learn more about the Marblehead Festival of Arts, visit www.marbleheadfestival.org. To make a tax-deductible donation, visit www.marbleheadfestival.org/donations. Your support matters, so Marblehead Festival of Arts would like to use your information to keep in touch about things that may matter to you. 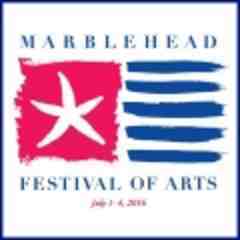 If you choose to hear from Marblehead Festival of Arts, we may contact you in the future about our ongoing efforts. Copyright © 2003-2019 Marblehead Festival of Arts and BiddingForGood, Inc. All Rights Reserved. Designated trademarks and brands are the property of their respective owners.